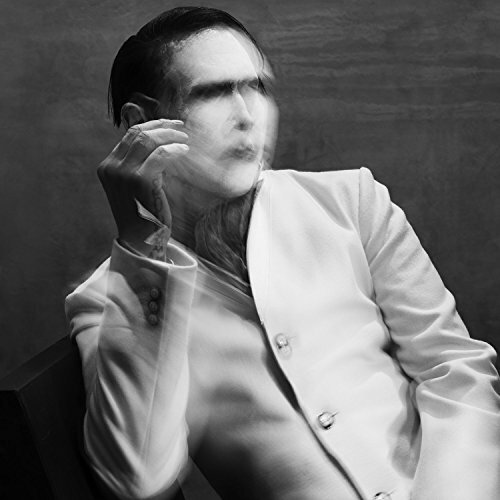 Hall of the Mountain King: Review: Marilyn Manson, "The Pale Emperor"
When Marilyn Manson’s latest, The Pale Emperor, hit shelves earlier this year, I dismissed it, as I have the many mediocre Manson records since Mechanical Animals. In fact, I even wrote a review of Mechanical Animals the week it was released instead. Much to my surprise, though, The Pale Emperor has become one of my favorite records of 2015. 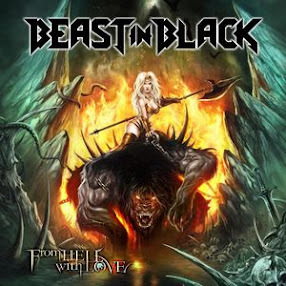 Granted, this has been kind of a meh musical year for me, but this record would be a contender in any year. The Pale Emperor features something that I’ve not heard from Manson in a while, and that’s the willingness to push himself and evolve a little. It’s an interesting blend of the Bowie-esque sounds of Mechanical Animals with some things that we haven’t heard from the shock rocker before, and while Marilyn Manson seemed to get lost a little after his third record, this one feels more like a natural progression from it than anything since. Let’s start the discussion with the song that’s worth the price of the album alone – “The Mephistopheles of Los Angeles.” This is a glammed-out rocker that begins with Manson’s usual misanthropic mumblings, but then builds to a swaggering, shouting, almost joyful chorus. It’s a song that wouldn’t have been completely out of place on Mechanical Animals, but there’s also a very different tone and feel from that record. Manson delivers the chorus in – and I hate to say it in relation to who I’m talking about – but almost a gospel-type shout, and it’s easily the best and most addictive tune he’s recorded in the past 17 years. Not that you’re going to find a whole lot of joy and happiness on a Marilyn Manson record, but there is an odd, off-kilter, sort of upbeat feel to many of the songs on this record, even when the subject matter is anything but. You can hear it in the Western-flavored “Cupid Carries a Gun,” which manages at the same time to sound like Manson and also to make you think of an old West saloon. Weird, right? But weird is often when Manson is at his best. There’s almost a dance beat to “Devil Beneath my Feet” and “Third Day of a Seven Day Binge,” another couple of catchy and infectious glam rockers that belie the lyrical content. “Slave Only Dreams to Be King,” after a TV preacher opening bit, drops into a very familiar Manson rhythm that will probably remind fans of “The Dope Show.” There’s a nice slinky guitar riff in there that almost puts me in mind of former Marilyn Manson guitarist John 5. That darkness that always lurks within Marilyn Manson’s music is represented on pretty much every track, but the culmination comes in the final song on the record, “Odds of Even,” where he reminds us that death is the great equalizer. Not exactly an upbeat way to end a record that, at times, has been a pretty fun ride. But that’s Manson for you. There are also three bonus tracks, which are basically acoustic version of “Third Day of a Seven Day Binge,” “Mephistopheles of Los Angeles” and “Odds of Even.” The best of the three is “Fall of the House of Death,” a take on “Odds of Even” that brings an even more stark and eerie feel to the song. It’s the only one of the three that I like nearly as much as the original version, and I may like it better. I’ve had a few surprises this year, but this record may, in fact, be the biggest one. Over the past 15 years or so, Marilyn Manson has certainly had his moments, but it’s been maybe a song or two from every record. The Pale Emperor, though, finally delivers a full album of the good stuff. As I said at the beginning, this record, more than any he’s done in the intervening years, seems like the natural successor to Mechanical Animals. And it’s a very worthy successor.